Railway Recruitment Board through its official notification laid bare vacancies for Junior Engineer, Depot Material Superintendent and Chemical & Metallurgical Assistant posts for Railway job aspirants. With 12, 844 vacancies for Junior Engineer post alone itself, total number vacancies including other posts are concluded to be 13,487. 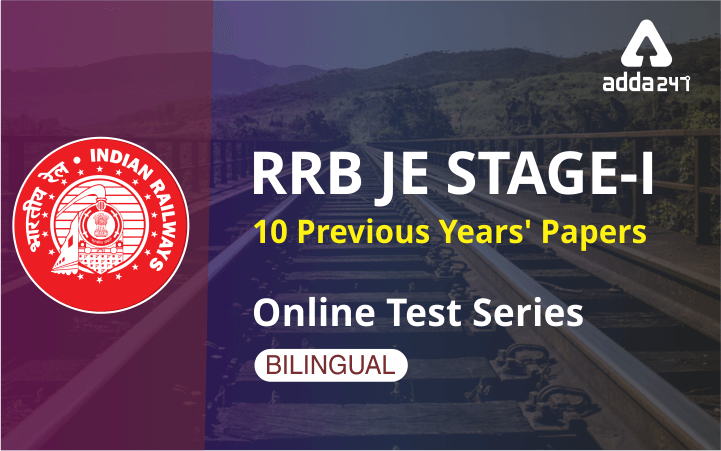 The expected month for the commencement of RRB JE Exam 2019 is May/June thus directing you towards a stern utilization of your devoted practice for RRB JE 2019 exam. 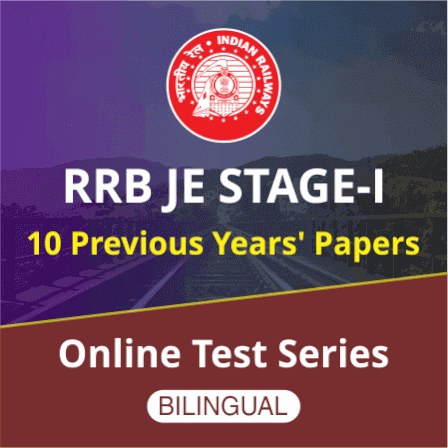 What can be the best way to sharpen your practice skills and enhance your inescapable knack in every section of RRB JE 2019 Exam by means of cracking loads of quality based questions with online Test Series holding all shifts papers of previous year exam sets conducted by the Board. Our efforts to ensure your chances of cracking RRB JE 2019 don’t come to end here. ADDA247 is laying on Railway JE (Junior Engineer) 2019 Free Mock for all RRB JE 2019 aspirants. 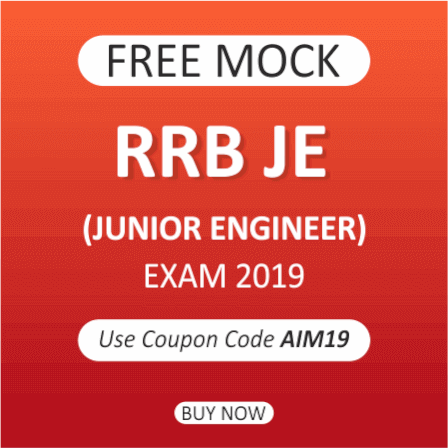 All India Mock for RRB JE 2019 costs Rs.100 but using the Promo Code: AIM19, it will be avail free of cost to you. To pit against thousands of competitors, take Railway JE (Junior Engineer) 2019 Free Mock and alanyze your performance in real time.